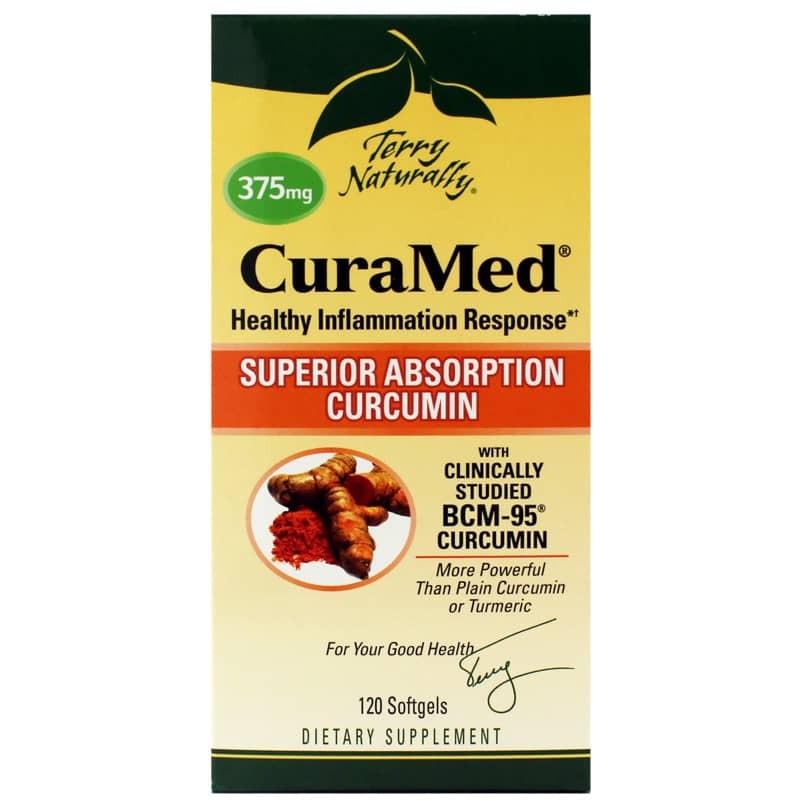 CuraMed from Terry Naturally is a dietary supplement that contains the clinically studied BCM-95® curcumin to provide support for a healthy internal response. Terry Naturally's CuraMed is formulated with a blend of targeted ingredients that is believed to promote the body's healthy internal response. It includes curcumin (BCM-95), phospholipids and turmeric essential oil. 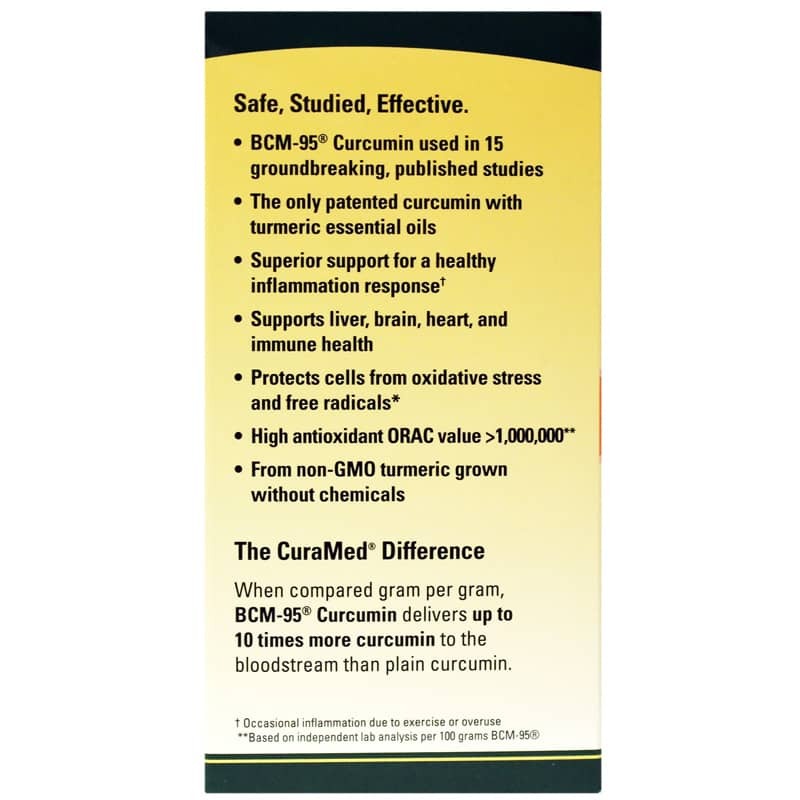 BCM-95 is a scientifically researched, highly absorbable curcumin formula. 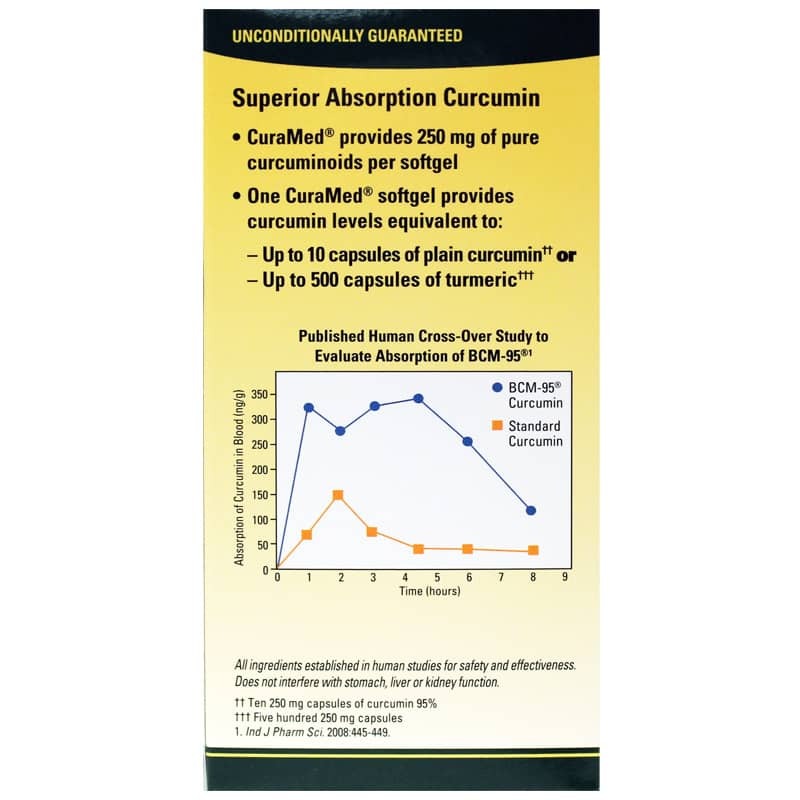 Study results showed blood levels of BCM-95 at 10 times the levels of other curcumin products two hours after ingestion. CuraMed is designed to support the maintenance of overall good health. It is used to support a healthy internal response as well as for brain, heart, immune and liver health. Curcumin is the active ingredient in turmeric, which is obtained from the roots of the Curcuma longa plant. It is valued for its potential health benefits, particularly its antioxidant properties. If you're looking for a natural way to promote a tissue health in your body, consider Terry Naturally's CuraMed. 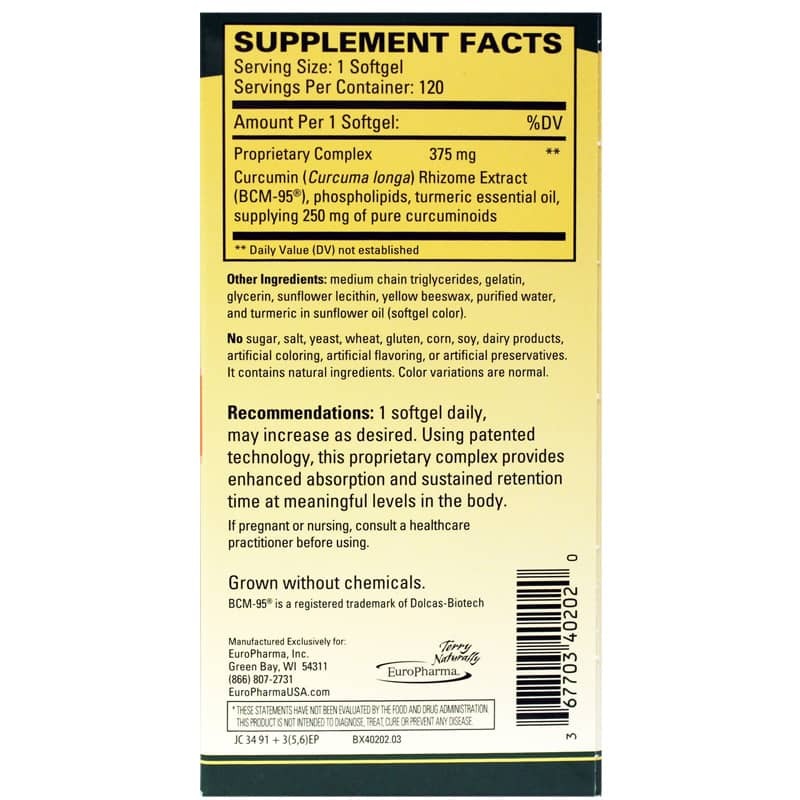 Other Ingredients: medium chain triglycerides, gelatin, glycerin, sunflower lecithin, yellow beeswax, purified water and turmeric in sunflower oil (softgel color). Contains NO: sugar, salt, yeast, wheat, gluten, corn, soy, dairy, artificial coloring, artificial flavoring, no preservatives. It contains only natural ingredients. Color variations are normal. BCM-95 is a registered trademark of Dolcas-Biotech. Adults: 1 softgel daily, may increase as desired. got here quick not problems! NHC is great place to purchase quality vitamins at reasonable prices with superb service!!! This product has been incredibly effective! I have seen significant improvement since taking CuraMed. I highly recommend one 375mg capsule twice per day, rather than a higher dosage once per day. I love CuraMed and Curamin. For me they really work. Lessons arthritis pain.